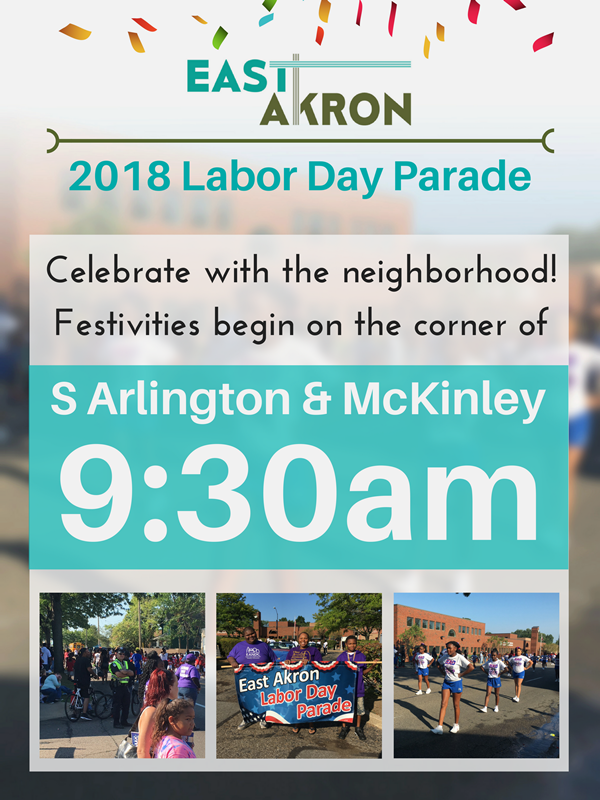 Bring your friends, bring your family, bring your neighbors and join us at the annual East Akron Labor Day Parade! This parade is an event that has been going on since the 1970s, and we're still proud to be a part of it after all this time. The parade route spans from South Arlington to Concord Avenue, stopping at South Arlington United Methodist; most people congregate across the street from us at Arlington Church of God's parking lot. We hope to see you there!